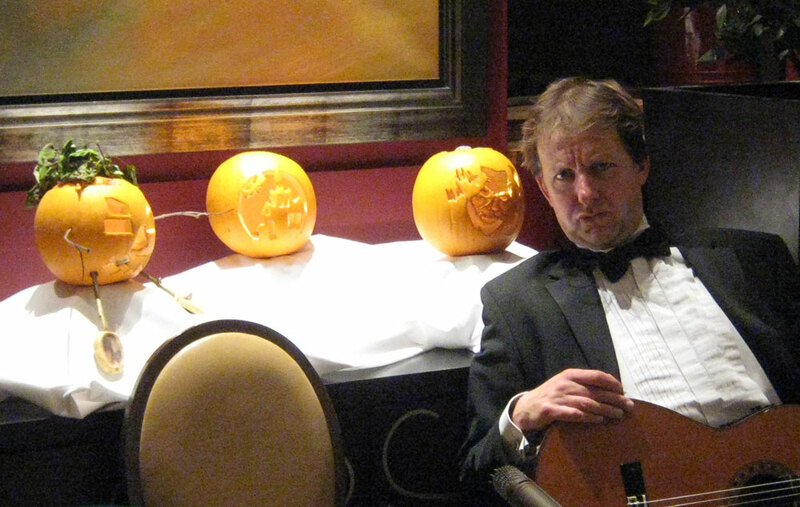 It's not often the Straynotes play in shop doorways. Rarely, if at all, will they do so in November and certainly not for a three hour stint. But this is a rather unusual doorway. The picture doesn't do it justice but Quayside Plaza is a restaurant with a Victorian-style shop front at the back. And behind the shop front is a shop full of curios from the four corners of the world. Like restaurants everywhere, space is at a premium and Quayside Plaza is no exception. The doorway is too small for a table but just large enough for a small band. It's a good thing that Angelo doesn't feed us until we've finished playing; there isn't space for a band and two meals. Angelo doesn't know why there is a shop at the back of his restaurant, at least not a Victorian shop. I did ask a local historian about it and he said he would take a look. Next time I see him I will ask him how he got on. Meanwhile I have tunes to practise. The Straynotes have a busy schedule in the run-up to Christmas and have begun trawling their back catalogue for festive favourites. This, of course, is with a view to working a few seasonal numbers, or at least a suitable quote, into the December repertoire.Looking at the material prompted a discussion about whether or not pubs were 'havens from Christmas' - Christmas-free zones, if you like. I suppose 'each case on its merits' is the way to proceed and if the landlord is wearing a red nose and an antlered alice band then it probably means it's cool to Yule. The last-festival-but-one, Hallowe'en, saw the duo version of the band playing in the brasserie at Dunston Hall. Somehow it just isn't the same without Paul and his bass. Even Andy's new friends (pictured) couldn't cheer him up. They're all called Ian, strangely enough. Hello, Ian! It never ceases to surprise me how often people come up to the band and say, fervently, 'You're playing my kind of music!' The surprising bit is not that they like what the band plays, but the fact that they range in age from twenty-somethings to the over-eighties. (The under twenties just dance and smile.) Earlier in the year, at a function at the Norfolk Showground, we gave away a card to an enthusiastic music-lover. 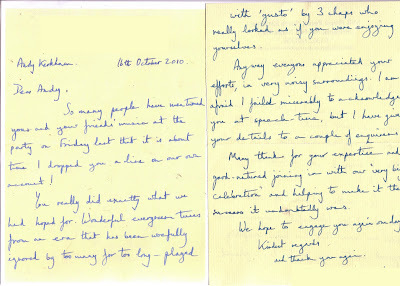 A week or two later he contacted us to ask if we would play at his Golden Wedding Anniversary party. 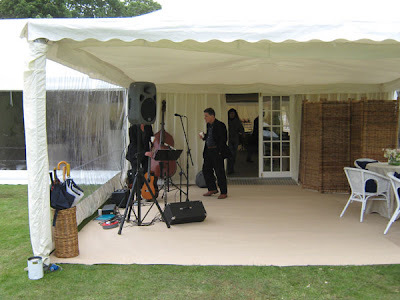 A fortnight ago the big day arrived and the band set up in a chilly marquee in the blue heart of west Norfolk. That's Andy in the picture, giving guest bassist Dave Pullin (right) and myself a master class in putting together the PA. The tent soon warmed up as guests moved, sometimes in spite of themselves, to the infectious sound of Eastern Straynotes. It was an audience that knew the genre well, making the compliments we received all the more welcome. However, I think that must really must mark the end of the summer season. My fingerless gloves are at the ready but I make no secret of hoping that the nation's marquees have been retired until next spring. 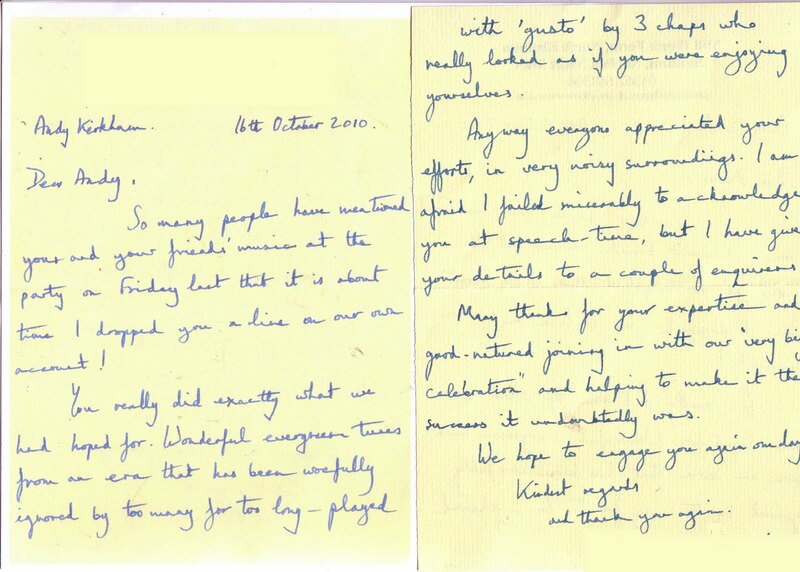 Every so often someone takes the trouble to write to us after an event and this was one such occasion. Identifying marks have been removed but if you double-click on the letter it should open up big enough to read. 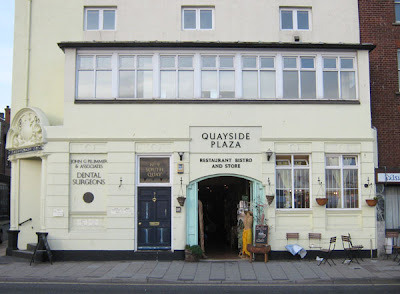 First off, a trip to Great Yarmouth for Andy and me to play for diners at Angelo's 'Quayside Plaza' restaurant. 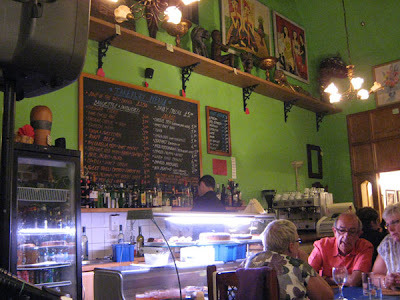 It was our first time there and we were struck by all the artwork and 'ethnic' goods on display both in the restaurant and in a shop behind. Musically it was as if we hadn't had the long lay-off at all. We were tight and slick, helped in no small part by a responsive and enthusiastic crowd. Angelo chooses his patrons wisely. 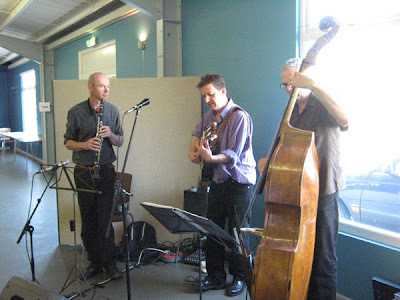 On Sunday it was lunchtime jazz at The Sainsbury Centre for the Visual Arts at the University of East Anglia, Norwich. Here were were joined by Paul on double bass, making us a feel like real band again. We certainly enjoyed ourselves and, judging by all the applause and foot-tapping amongst the coffee-drinking art lovers visiting this exceptional gallery, our audience enjoyed it too. You may wonder why I mention the audience response but in restaurants diners are often concentrating on their food and conversation. Many are seated with their backs to the band or in alcoves where we may as well be a CD for all they know. And visitors to the Sainsbury Centre are often awed by the building and are unsure whether or not expressions of appreciation are appropriate. But an audience takes its cue from the performers and our enthusiasm on each occasion was infectious. A pared down line-up played at Earsham Street Café's foody night in Bungay, Suffolk yesterday. 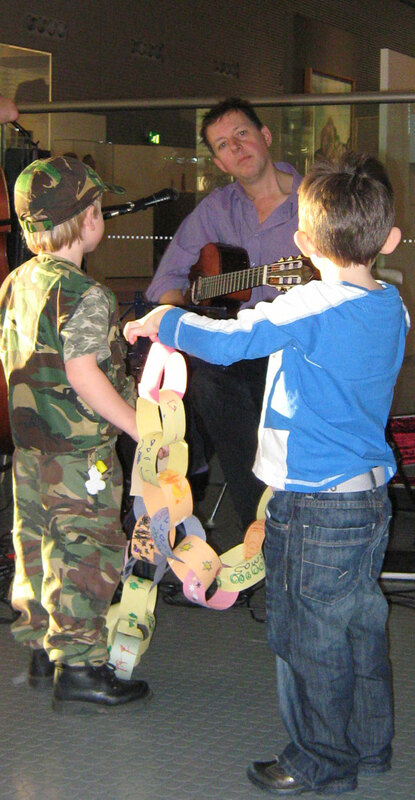 It was the last gig before a short summer break in which Andy will be doing some solo playing and Jonathan takes a puppet show to the Edinburgh Fringe. 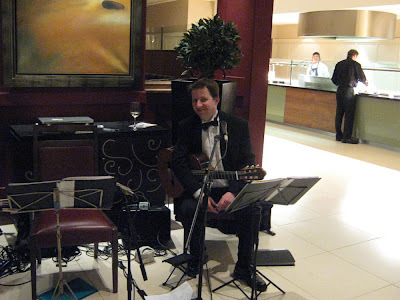 We played a mixture of laid back jazz for eating and some hotter jazz and klezmer for between courses. The latter went down very well. We finished the set with a summery rendition of 'Stardust'. You may wonder what a jazz/klezmer outfit like Eastern Straynote is doing playing at a folk festival. And as the rain came down on my drive from Norwich to north Derbyshire I was wondering the same. The last time I came to Stainsby was with The Crimson Muses back in 2007. It had been a very wet spring and early summer and had been raining solidly for 48 hours prior to my arrival. 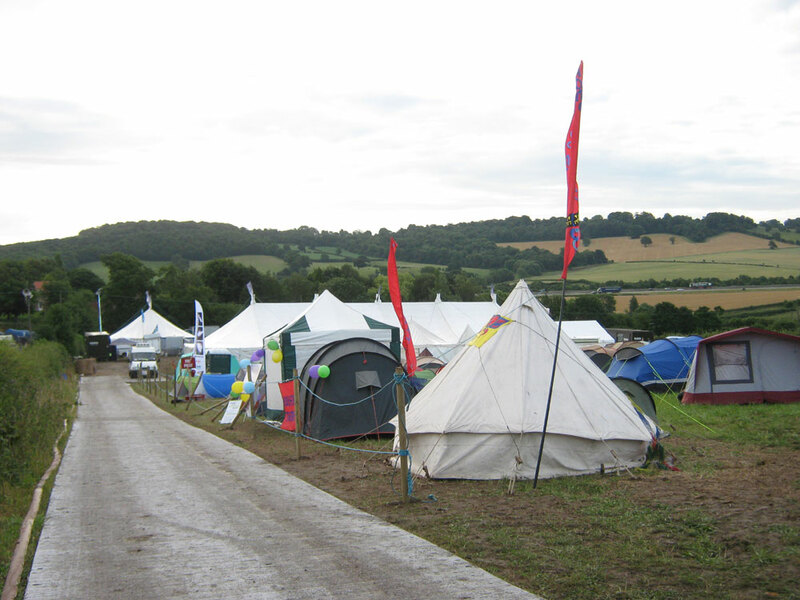 The whole place was a quagmire and pitching a tent was an impossibility. Fortunately all my children had found other places to be so my partner and I put the back seats down and slept in the back of the car. Calf deep mud didn't quite spoil the weekend, mostly because it actually stopped raining, but it was a close thing. 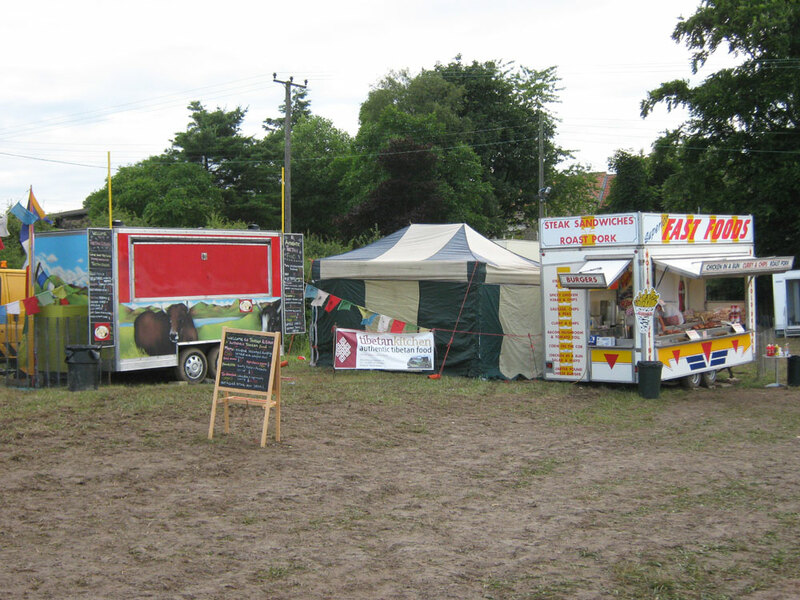 It had been dry for weeks leading up to Stainsby Festival this year but a couple of rainy days was enough to bring on the mud. Slippery but not deep enough to steal your boots. 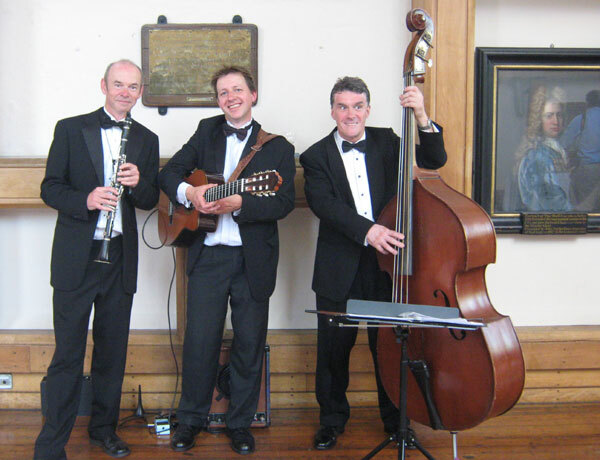 The Straynotes played on Friday evening and lifted any qualing spirits in the way they know best. Our own spirits had been lifted by seeing Gary Rudd's band, The Lost Padres, playing on the main stage immediately prior to our appearance in 'The Space'. I had to leave early the next morning to catch up with work back home but took a couple of snaps before I went. It is a small but strange event, somewhere between a beer festival and a hippy reunion. Andy thinks this may reflect the proximity of the beautiful countryside to the M1 which can be seen cutting through the valley. 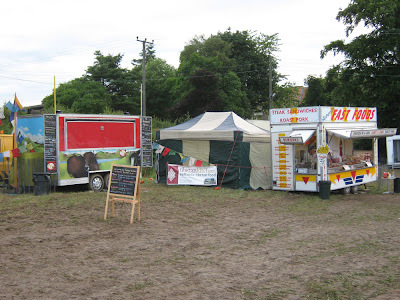 The two food vans in the other pic would tend to back this up: the classic greasy spoon next to the authentic (food cooked by a real Tibetan) ethnic eatery. Neither could provide me with a cup of tea so early in the day, however. Apparently if you manage to hang on to your old banger until it's twenty years old it becomes a 'classic'. I suppose that's a banger with character. Last weekend the band played two events - a wedding and a drinks party - and each featured a car. 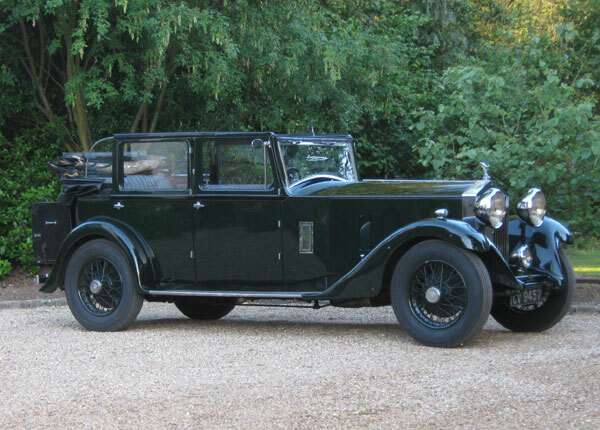 These were vintage vehicles, meaning more class than a classic, and both would turn heads wherever they went. 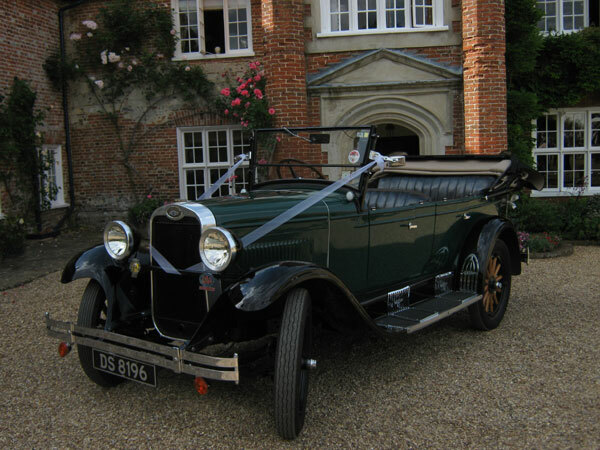 The first was a 1928 Chevrolet National Tourer and arrived at the venue, a rather lovely country house complete with outdoor pool and tennis courts, carrying the bride and groom. I like to think the car's makers would have approved of the 1920s jazz Eastern Straynotes were cranking out as the car drove in on the gravel drive. The second car was a Rolls Royce of similar age which arrived, as an 'objet' - the only car not to be parked out of sight of the party, just as we were about to begin our first set of the evening. By the time I took the photograph night was drawing in and my 21st century pocket point-and-shoot probably needed a more experienced pair of hands. But you get the picture. A quick peep at the interiors of both cars left me thinking that, for anything more than a short run, a train journey would afford more comfort. Some things never change. To all those successful graduates at Norwich University College of the Arts. 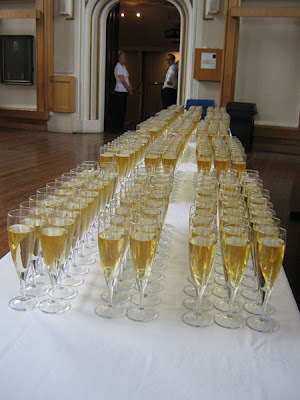 A week ago today Eastern Straynotes were playing for the champagne receptions in Blackfriars Hall. So many graduates require a morning and an afternoon ceremony in neighbouring St Andrew's Hall and on each occasion we provided the music afterwards. It's a lovely gig, and a repeat booking which is affirming for us - we must be doing something right. Everyone is very happy, proud relatives and relieved students. We play acoustically, as required by the 'brief'. When the hall is empty, or an audience quietly attentive, this is a joy as the room is both warm and bright. Full of exuberant folk celebrating success, Blackfriars presents more of a challenge: vocals and clarinet in particular appear to vanish into space. The trick is not to shout or overblow but to listen more carefully as even if one can't hear oneself, the audience, at least within a certain radius, can hear perfectly well. A sunny afternoon in June and a trip to Denham, near historic Bury St Edmunds in Suffolk. We set up prior to an outdoor humanist wedding ceremony. Then, grateful for the shade it provided, played sunny summer sounds beneath a spreading copper beech. I didn't make it into the picture but left my clarinet in the frame to give a sense of scale. The site was owned by an old couple who kept horse drawn carriages. 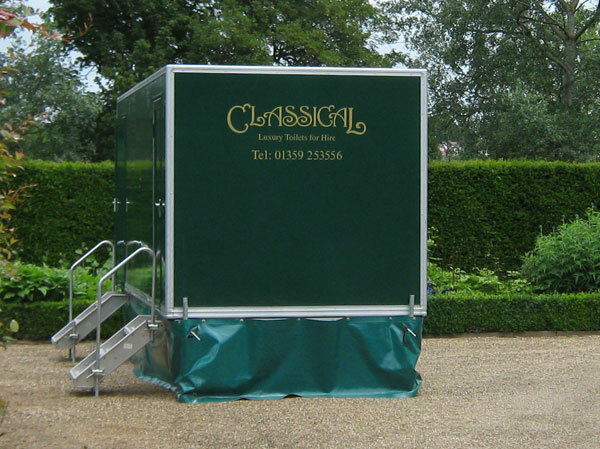 The carriages were all away at a show, temporarily replaced with the tents of guests from far-flung parts. I don't know how long the property had been in the same family but the couple must have been in their eighties and had inherited the place from the male half's father. They have a wedding party every week in the summer, feeding them in a large barn. 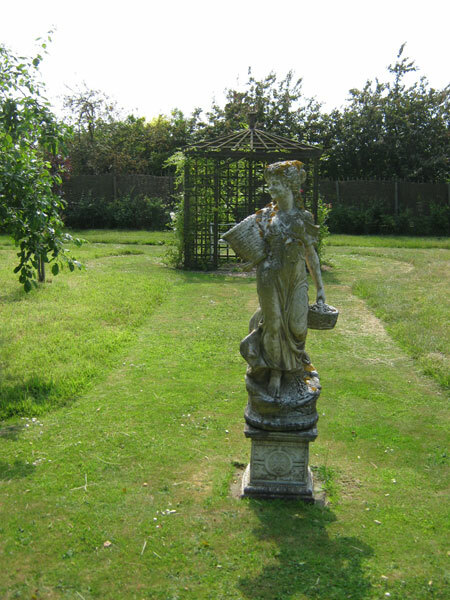 The property, not pictured, dates back to the 17th century but I suspect the kitsch statue (no judgement intended) is a little more recent. People said such lovely things about our music that I wanted to say 'Can I have that in writing?' So, inspired, I have sprinkled the pages of our clunky old website with some of the accolades people have troubled to commit to paper in the past. 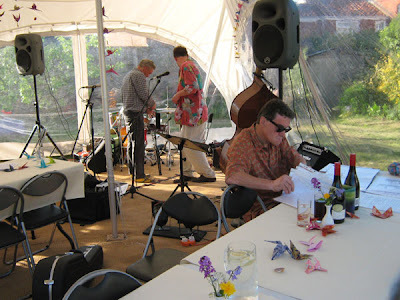 Just before I went off for a week to celebrate the summer solstice in glorious sunshine and nature's abundance the Straynotes drove down the road to a village just outside Stowmarket in Suffolk to perform for pre-lunch drinks. 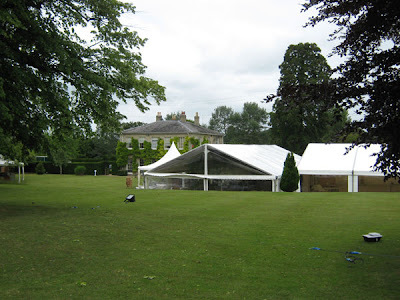 The daughter's wedding had coincided with the parents' wedding anniversary so the marquee, a grand affair with many rooms and 'windows' was pressed into service again. When we arrived the carpet in the porch was being replaced and as this was where we were to play we had a few moments to peruse the grounds and use the facilities. These included the swankiest mobile toilets I have yet seen; they had carpets on the floors, prints on the walls and various sprays and bottled soaps by the faux-Victorian wash basins. It was the kind of loo where I have to go back and check the picture on the door. While I was in there I was treated to a little of Elgar's 'Nimrod'. 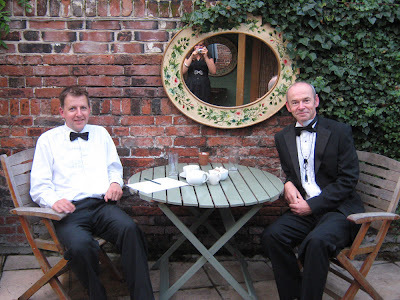 Paul and Andy both heard Beethoven piano works emanating from from the 'in-house' sound system. The hand-warmers came out for the sound check but by the time the guests arrived the day had warmed up sufficiently for the gloves to come off and for the diners to drink cocktails on the lawn. 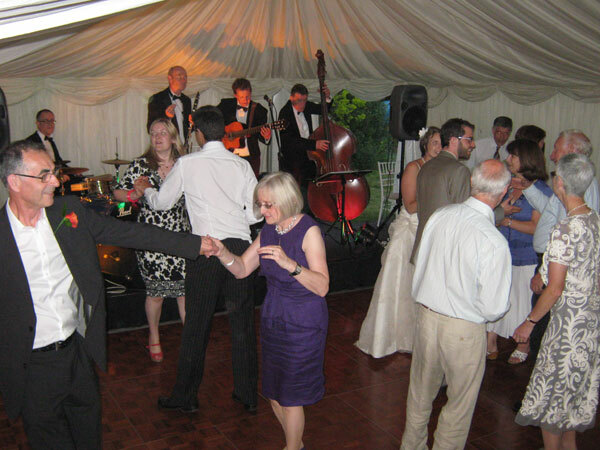 It really did go down very well and one elderly guest, obviously enjoying the band told me how this was 'real music' and you could keep all that pop music, thank you very much. Perhaps he had forgotten that this was the pop music he had grown up with, still sounding fresh today. 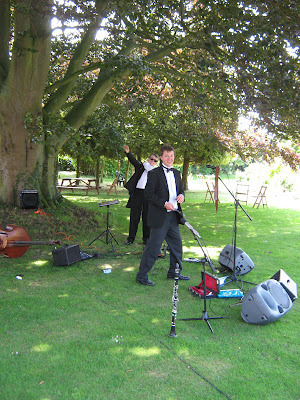 Last night Eastern Straynotes, found themselves playing for a wedding deep in rural Norfolk. We had a wonderful evening. Either we were very good or the guests were very game but we had them dancing from the first number right through to the end of the final set. I will never think of 'Petite Fleur' in the same way again: we performed it as a very upbeat and rousing tango. 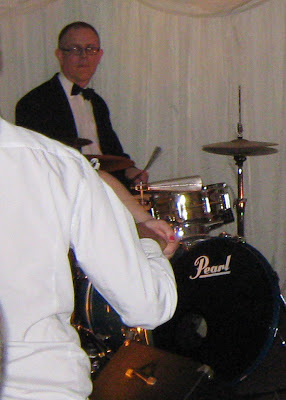 Of course it may have had something to do with our special guest star, Colin Brady, who came along to play drums. A rare gap in the Lee Vasey Band's calender meant he was free for the evening. With versatile use of a small kit he added colour, depth and extra texture to our unique mix of swing, klezmer and the like. I hope it isn't too long before we can play together again. We also had Paul back on double bass, having missed the last two gigs, and it was clear how much we have gelled as a band since he joined us in November. I am already looking forward to our next gig. One of the most satisfying aspects of being in Eastern Straynotes is playing music that appeals to so many people of all ages. It reminds the older folk of their youth while the younger crowd recognise a music that was, after all, originally written for the young. 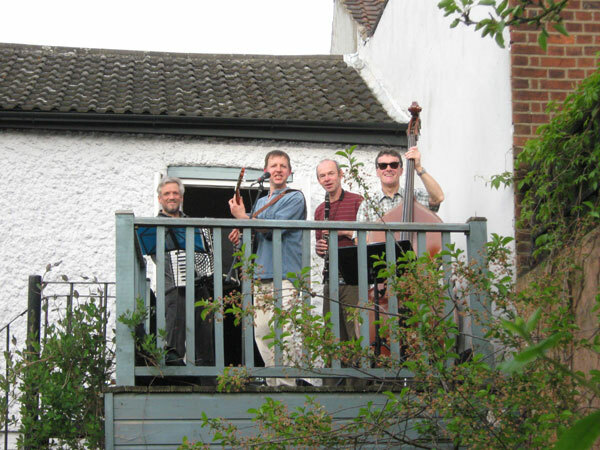 Perhaps the greatest accolade of the evening was being asked if we would travel to north London to play klezmer for a fortieth birthday party next year. And that was a serious enquiry made before the champagne toast! Yesterday saw the band playing for guests of Norfolk LINk at the Norfolk Showground. 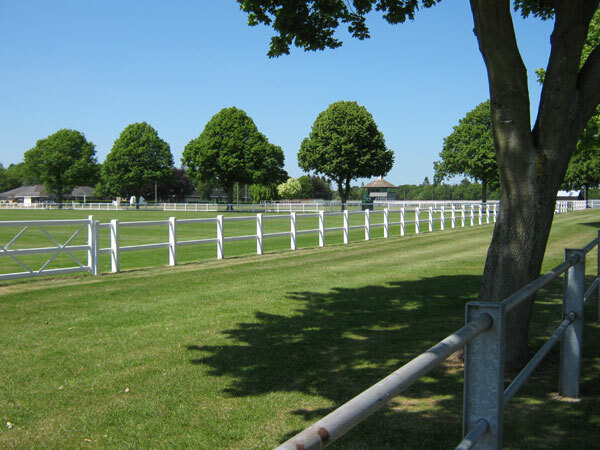 It was a perfect day and the grounds were looking ready for the Royal Norfolk Show at the end of this month. It was good to welcome back Dave Pullin on double bass, Paul being unavailable. Dave's memory of our arrangements is to be commended, as is his ability to intuit what was going on in the new material with only a hastily scribbled chart to guide him. 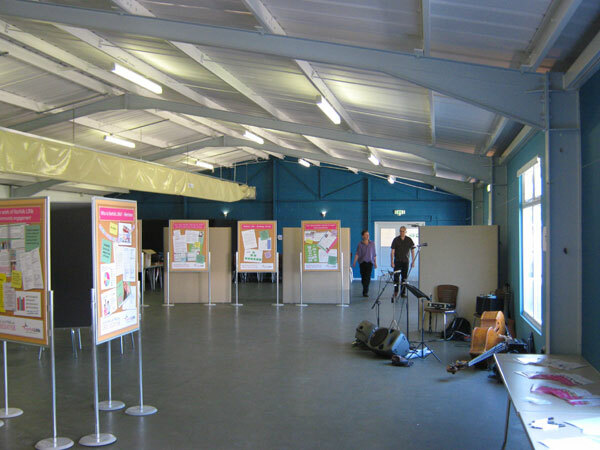 The venue was essentially a brick and steel barn with no carpet to dampen the reflections. 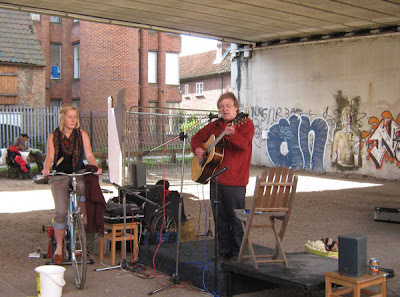 This doesn't make for a great acoustic but many people took the trouble to listen and commented favourably. Some even danced. Against the odds we had succeeded in being quiet enough to be a background to conversation yet loud enough to be appreciated for our music. Last night we helped out an old friend of Andy by playing for the Yarmouth Beer Festival. 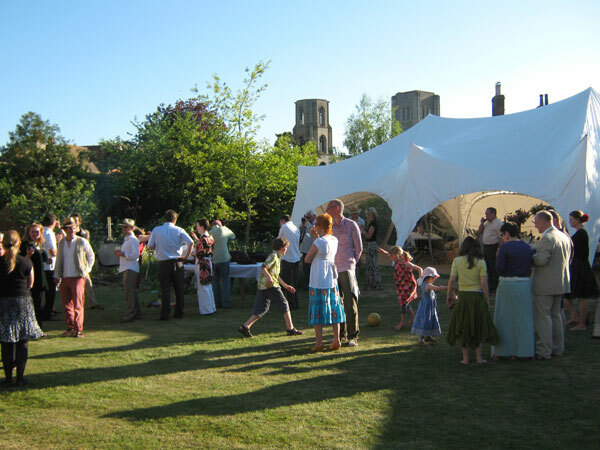 The venue was in the Priory Centre, so named because it is housed in a former priory founded less than fifty years after the Norman Conquest by Herbert de Losinga, Bishop of Norwich. 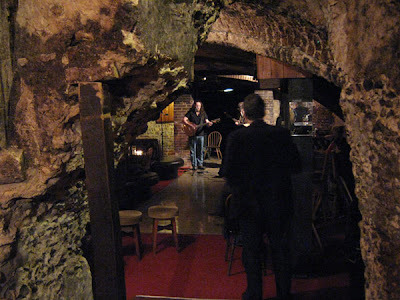 While this made for a great atmosphere, the stone walls and very high ceiling made for a lousy sound. 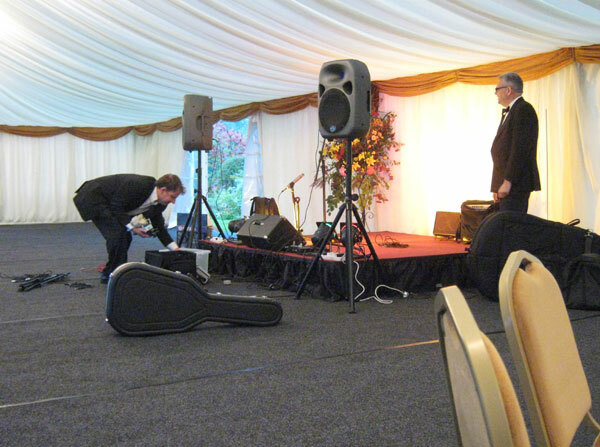 Sensibly, Andy turned off the reverb on the PA half way through the first number. The naturally occurring 'hall reverb' that companies like Yamaha and Lexicon have spent years perfecting was something we just had to live with. 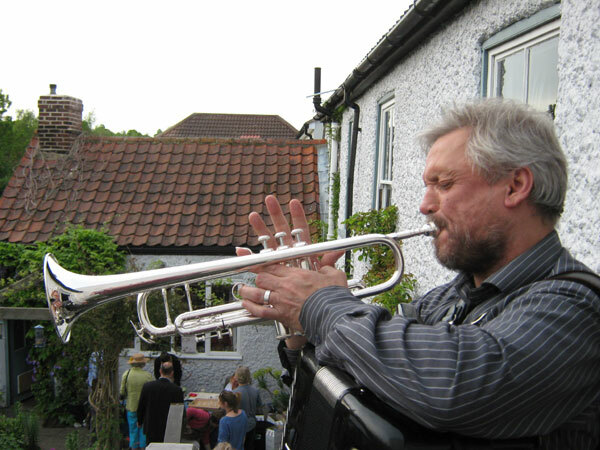 As befitted a beer festival we played a lively mix of klezmer and up-tempo jazz with the occasional slow number (eg Pennies From Heaven) thrown in to give the dancers a rest and calm a crowd that was out for a good time. 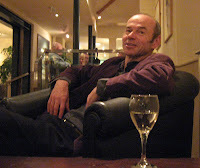 Paul being away, we were joined by the much travelled Gary Rudd who has recently returned from India. He was en route from Lincolnshire to Suffolk so this fitted in very well. And again, we had the benefit of Hugh's accordion and trumpet. We were well looked after. On arrival we were presented with a half pint glass each and a tokens to exchange for the wide range of beers and ciders exhibited. Both sides of the long hall were lined with barrels behind long bars. Having work to do I gravitated towards the weaker end of the spectrum but I made an exception for Loxely Ale, still not too strong at 4.2%, which I chose in honour of Robin Hood. I know that sounds daft but, when faced with such a vast array of possibilities (there were ninety beers and a few ciders to choose from), doing the first thing that comes into one's head often saves time. Last night I thought Andy had drawn the short straw by electing to drive but this morning I'm not so sure. 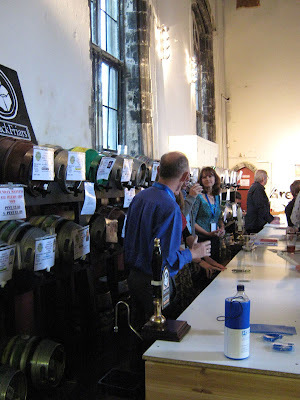 The whole point of a beer festival is to taste lots of different drinks and, in the absence of a spittoon, it is considered polite to swallow. I can only be thankful that there was too little time after the gig to indulge my curiosity further. Glorious weather for May with temperatures set to reach 26 in the shade in Norwich. The summer season has kicked off with Rose's charity plant sale on Friday evening followed by our first outdoor wedding of the year last night. Every year my friend Rose has a charity plant and book sale and, having a garden worthy of the name for the first time in over twenty years, I took a keener interest in the array of seedlings than usual and Paul was quick off the mark with the purchase of a tray of pepper plants. But we were really there for the music and played up on the balcony overlooking the garden. 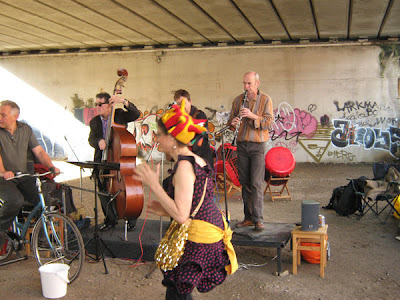 Two sets; a mix of jazz and klezmer. Hugh's accordion lends atmosphere and fire to the latter while his trumpet is a fine addition to the jazz. Last night we played a wedding with the towers of Wymondham Abbey behind us. 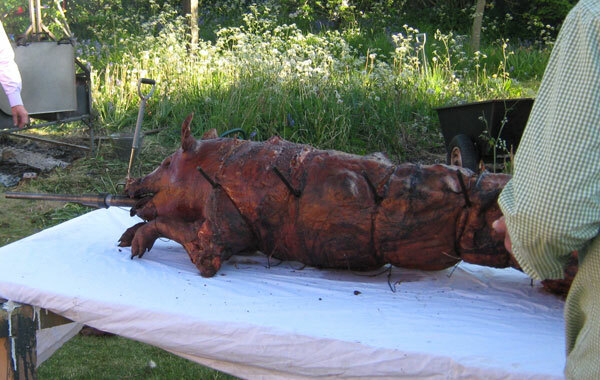 A beautiful garden behind a house on the High Street, more origami than I've seen for a long time, wonderful food and even a hog roast for those of a carnivorous inclination. We played two sets with some cameos from the guests in between. 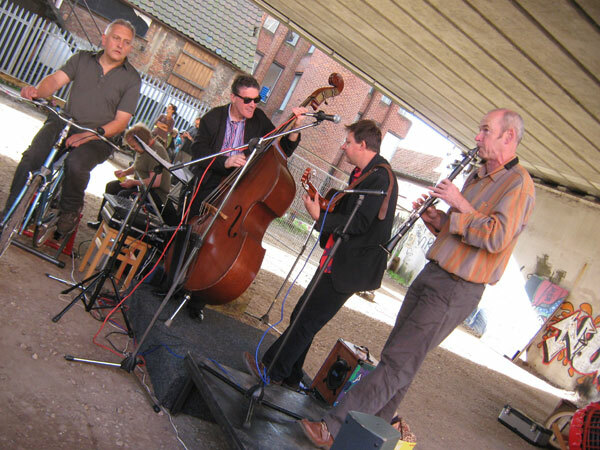 These included a set from the Pancakes - deadpan humour wrapped up in skiffle form. Very funny but sublimely understated - quintessentially English. There was also a lad of about 12 playing some rather fine jazz piano. And Henry, a former band-mate of Andy and Hugh and one of the guests at the wedding, sat in on drums for our second set. His unusual kit includes biscuit tins and an upturned sink and he plays the whole thing with soft-headed beaters. It gave the sound a real lift (I should say now that we don't let just anyone sit in) as evidenced by the enthusiasm of the dancers. So the current finally made a gig together as a four-piece. 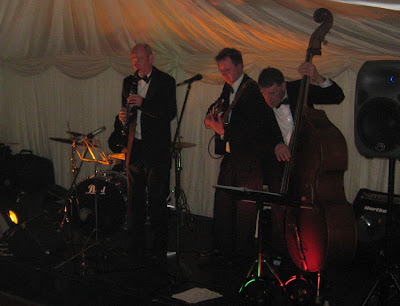 Andy and me joined by Paul Fitzgerald on double bass and Hugh Stanners on the accordion. The picture is actually of the band before us (apart, that is, from Paul's back). Somehow I forgot to pass the camera to anyone before we went on. 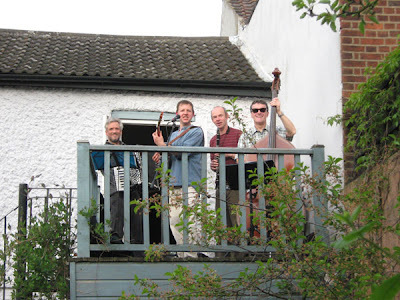 We played a short klezmer set, almost all new stuff, which was a little hairy at times. But it went down very well. Jurnets, if not the oldest venue in the city of Norwich, is certainly situated in one of the oldest buildings and the crypt, in which the bar/club is to be found, dates back to the 1140s. A very special place to play. Incidentally, 11.40pm was the time we went on. And there was still a good crowd in spite of the great John Cale playing elsewhere in town that night. So Andy and I went to the Sainsbury Centre again on Easter Sunday. It was all very pleasant and there was even a mosh-pit of under fives dancing along with the freedom of movement that only the very young achieve. Self-image and worries about stylistic integrity all lie in the future for these guys. And we had a few friends from Dance Camp East along to say hello which was very gratifying. And tea and cake too. In the meantime Andy and I have been strutting it as a duo at Dunston Hall, a large hotel just south of Norwich. It used to be the country pile of someone very wealthy but I'm afraid I have no idea who that was. i'll take a picture next time we're there in the daylight (at the end of May) and you'll see it in all its splendour. This picture shows a rather mellow Andy half way through his first, and only, glass of white wine and just before we started the third hour-long set of the evening. 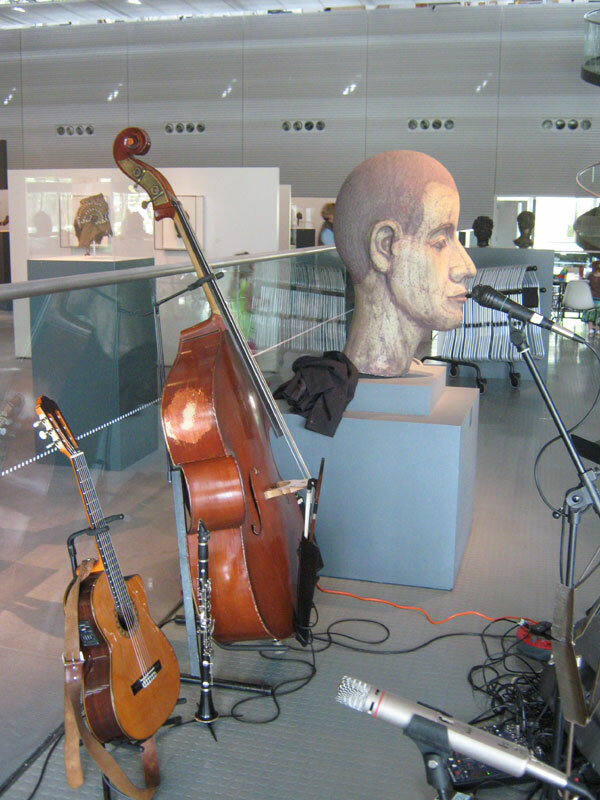 On Sunday we'll be down to a duo again at the Sainsbury Centre. 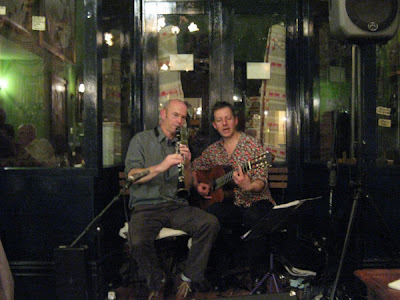 Paul is elsewhere for that one but Andy and I will be filling the place with music between 1pm and 3pm. A reliable source close to the Straynotes camp has told this blog that Hugh Stanners, that shadowy figure from the Norwich klezmer underworld, is to meet the band this evening at a secret location for a 'let's see how it goes' jam session. 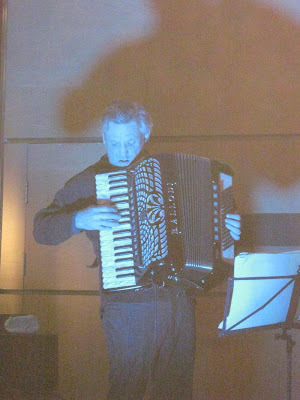 Hugh, accordionist extraordinaire, made an impromptu appearance with Eastern Straynotes at Cafe Marzano last November where the band rocked the Forum in a display that had fire engines in attendance. If this evening's session goes well the Norfolk Fire Service could be putting in some overtime this summer. So the three of us turned up at Norwich Puppet Theatre shortly after 5pm for a sound check and then disappeared to a South Indian restaurant on nearby Magdalene Street for a take-away. Back at the venue we disappeared back stage to meet some of the stars of the burlesque scene. We did some waiting in the wings, hearing but not seeing performances, before we trooped onto the stage to strut our stuff. Paul averted the traditional snow-storm but bringing along a file to put all his music in. Andy and I relied on memory and a practised art of blagging when that failed. Our five klezmer numbers went down very well and it was lovely to see one or two people get up and dance. I like to think there would have been more but the steepness of the rake and closeness of the rows of seats must have made it difficult. The last time I played at the Puppet Theatre was for a showing of Pinocchio almost a year ago. I didn't need to worry about playing to the audience as all the attention was on Gepetto, alias puppeteer Steve Tiplady, and Pinocchio himself. The clarinet tends to make one look downwards and on Friday I discovered I couldn't see beyond the first two rows without adopting a very strange playing position, something I should have tried (and abandoned) in the sound check. 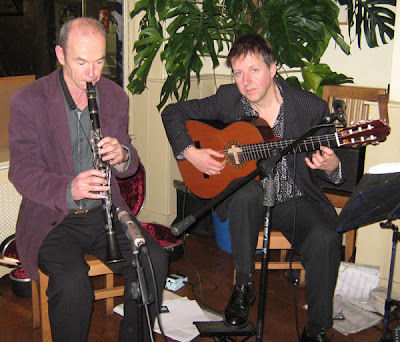 We played in the Kasbah Bar (there was an eastern theme to the evening) during the interval and again had the folk moving to our klezmer/Balkan groove. An exotic, mute beauty was serving wine with her wrist chained to her ankle and her clientele were as cool as midnight in the Arabian desert. Low tables sprinkled with sweetmeats, filmy drapes and a scattering of cushions completed the picture. Paul had to rush off to another gig at the end of the interval (such is the bassist's lot) and Andy, with childcare duties to perform, went with him. It was left to me to watch the second half which featured a gypsy fortune teller, some fine work with feathers and a bed of nails. I also saw my first male stripper - a comedy spiv routine - who had the good taste to stop while he was still entertaining. I confess I forgot my camera but there were photographers present, at least one of whom looked like he was a dab hand with a lens, so I hope to track down some pictures to post. Our next public outing is to Norwich Puppet Theatre for the "No Strings" burlesque evening on February 26th. Appropriately enough, the evening has an 'eastern' theme. Whether or not an 'eastern' is just a 'western', but with wire-fu Samurai warriors instead of horse-ridin' cowboys, remains to be seen. And in case you're thinking that fishnets aren't very eastern, how else do you think the Japanese catch all those blow fish? Doors open at 7pm, show kicks off at 8pm and the bar closes at 11pm. Well the rumours have turned out to be true. Sebastiana will be joining the Straynotes in Jurnets Bar this coming Friday 22nd January. 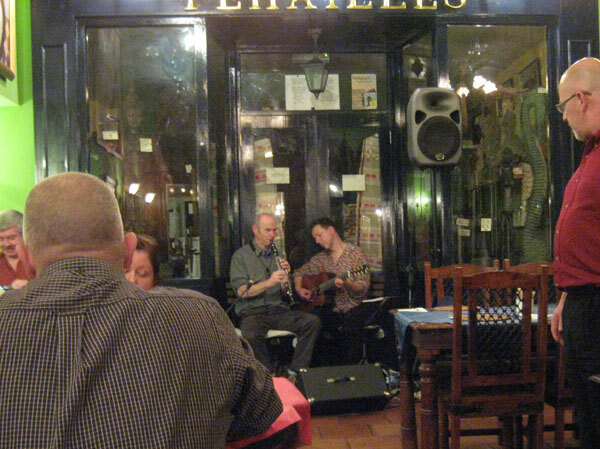 We will be on at about 8.30 in order that Paul can hot foot it to the Black Horse on Earlham Rd for another gig. This will allow the rest of us to sit back, relax and enjoy the rest of the bill. I'm told it includes the excellent Horses Brawl. Eastern Straynotes have been booked to play a short set at Jurnet's Bar on Friday 22nd January. This much we know. 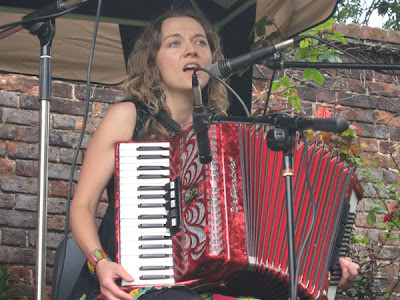 But rumour has it that they are to be joined by the wonderful chanteuse and accordionist Sebastiana Mikulova (pictured) with whom they are said to be working up a few numbers especially for the occasion. Jurnet's Bar, for those not yet in the know, is in the crypt of a 12th Century house on King Street in Norwich, now part of the Wensum Lodge adult education centre. 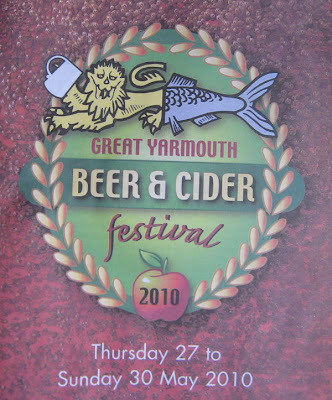 They serve a fine, and refreshingly inexpensive, pint of Adnams along with a range of other beverages. Entry is free and there is always an eclectic mix of acoustic acts to enjoy. Music starts about 8pm as I remember.